Design of Experiments (DOE) involves the design of data-gathering techniques where the experimenter is often interested in the effect of some process or intervention of some objects. 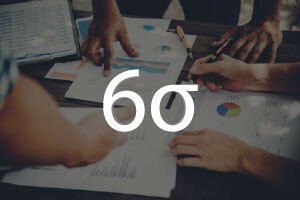 It is a key methodology used in Six Sigma processes and has a broad application across many disciplines including engineering, manufacturing and the sciences. This free online business course will introduce you to the concept of Design of Experiments. You will first be introduced you to the Design of Experiments and how they are used to optimize process settings. You will learn what an experiment is and study the different types of variables, the critical concepts, and the different approaches to the experimentation process. You will learn the steps to be followed when planning a Design of Experiment and look into the advantages of its implementation such as yielding information at relatively low cost. You will then study the major approaches that can be used in a Design of Experiment and cover the Factorial Design which can help you understand the effect of two or more independent variables upon a single dependent variable. You will also study the Taguchi method, which organizations use to improve the quality of their manufactured goods, as well as the Response Surface Design, which can help you better understand and optimize your response. The Design of Experiment is one of the most powerful data collection and analysis tools that business entrepreneurs and managers can use in a variety of experimental situations. Its rigorous approach to engineering problem-solving can help save a business a lot of time and money. This course contains valuable information that will help you gain a better understanding of the concept. Check out the course today, and bring your professional skills to the next level. Having completed this course the learner will be able to: - Describe to use Design of Experiments to understand and optimize process settings. - Explain and apply the statistical techniques used in Six Sigma. - Define what an experiment is. - Describe the various types of variables. - Outline the steps in planning Design of Experiments. - List the advantages of Design of Experiments. - List and explain the three major approaches to using Design of Experiment.